This department of the exhibition is dedicated to the contemporary period of history and begins with a series of objects reflecting socio-cultural movements of the early 20th century, events of the World War I and the national movement in 1917, which culminated in the creation of the first Bessarabian parliament - the Country Council (Sfatul Tarii) and the unification of Bessarabia with Romania. The main events and persons who led first to the proclamation of independence from Russia on 24 January 1918 and then to unification with Romania on 27 March 1918 are presented in the museum exhibition: photos of Paul Gore, Alexei Mateevici, Nicolai Alexandri - the leaders of national movement in Bessarabia, photo images taken at the demonstrations in Chisinau and Balti in 1917 and a photo of the building where on 21 November of the same year the Country Council began its meetings. All these documents are of particular emotional resonance. The spirit of time is conveyed through the reconstruction of the editorial office of newspaper "Cuvant moldovenesc", an important organ of the national movement in Bessarabia. 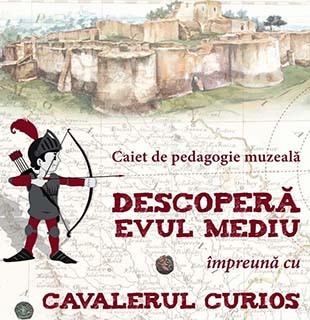 The process of integration of the territory between the Prut and Dniester in political, economic, and cultural life of the unified Romania entailed important socio-economic transformations, but especially a large flourishing of culture and education. This is evidenced by the museum collections of photos, documents, books, medals and works of art. Among the most prestigious educational institutions of the time in the exhibition there are presented the "B.P. Hasdeu" Boys' Secondary School, the "Queen Maria" Girls' Secondary School, the "King Ferdinand" Military School, and of course the famous School of Fine Arts led by sculptor Alexander Plamadeala. Many photos and playbills talk about the prodigious activity of the National Theatre in Bessarabia and highlight some prominent figures of political and cultural life of the interwar period, such as writer and politician Constantin Stere, composer Alexandru Cristea, director of the "Unirea" Conservatory Anastasia Dicescu, internationally renowned soprano Maria Cebotari, singer of opera houses from Vienna, Dresden and Berlin, opera singers Lidia Lipcovschi and Lidia Babici.